A twist on a classic look from Angelino. 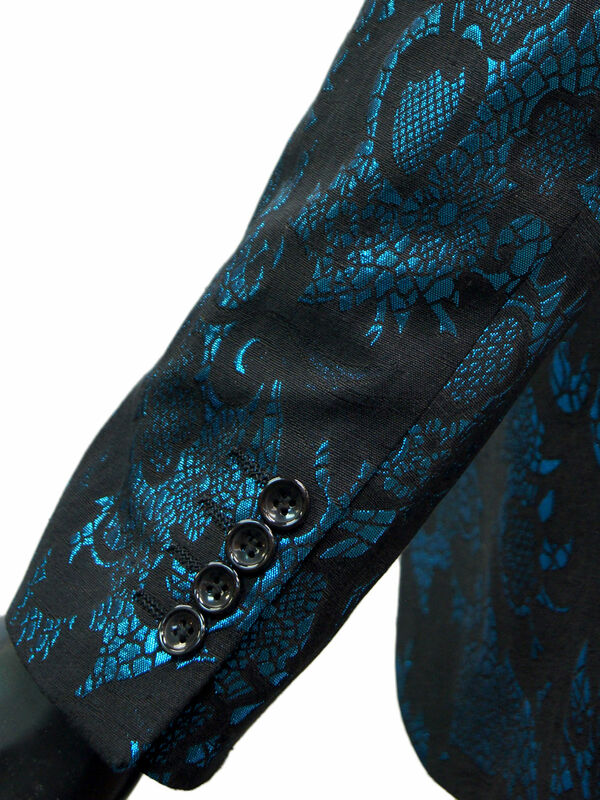 This two-button blazer made in a luxurious and shiny vintage pattern in teal and black will have you looking classy and trendy. 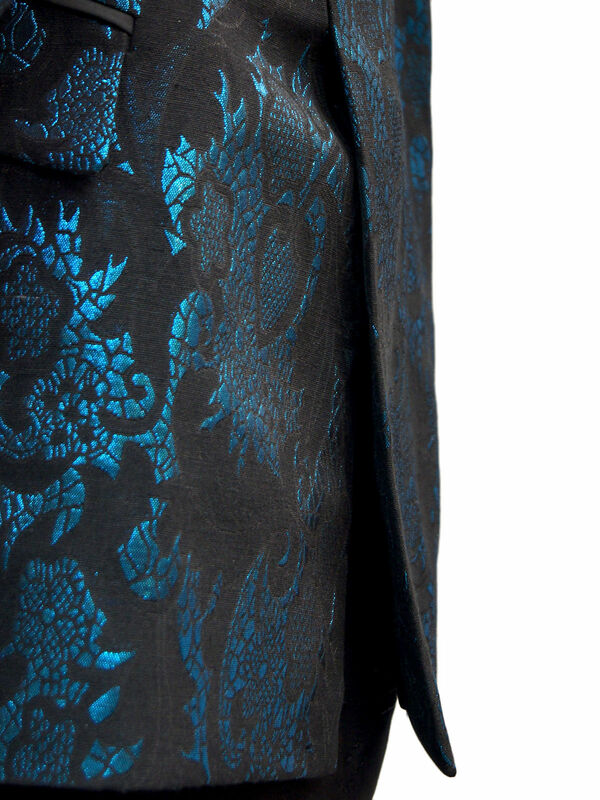 Black lapel trimming and pocket lining. Wear with black tuxedo pants for the classic man image.